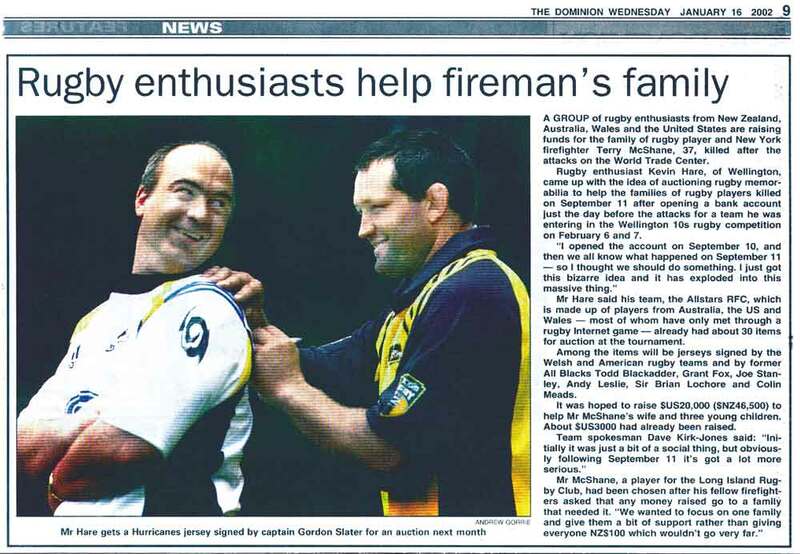 The life of Terence McShane, so full and so brief, could be measured by his friendships. There were the buddies from Sts. Cyril and Methodius parish, St. Anthony's High School, lifeguarding, Siena College, rugby, his decade as a New York police officer, and the two years he spent as a city firefighter. "Terence was still friendly with guys he went to nursery school with," said his older brother, Kieran. "He'd bump into someone and start talking, and I'd say, `Who was that?' "
"Some girl I went to third grade with," he would answer. What drew people to him? Maybe it was the way he had mastered the art of drawing the best from small moments. Take one of his approaches to fatherhood: pushing a kids-packed stroller while in-line skating. Shirtless. Along Montauk Highway. Mr. McShane, 37; his wife, Cathy; and their three children � the oldest of whom is 7 � had been living at a relative's house while their home in West Islip, on Long Island, underwent a wholesale renovation. 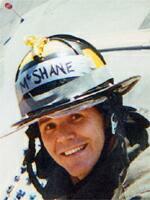 And when he disappeared in the firestorm of Sept. 11, the Buddies of McShane banded together to finish the job. Cathy McShane was back at the house a couple of weeks ago, preparing it for her family's first night there in months, when four men in uniform appeared at the door with the awful but welcome news: they had found her beloved Terence's remains. "I told everyone all along that I didn't want to come back to the house without him," she said. "And in a way, I didn't." A Group of Rugby Enthusiasts from New Zealand, Australia, Wales and the U.S. help fireman's family.